I know that hiring a newborn photographer can be exhausting. You have many things to think about: the nursery, the delivery, finances, life adjustments... There's just so much going on that you really don't know where to begin. I created this section of my website to help you a little and to make choosing the perfect photographer for you a bit easier. Although budget and photographic style are important when choosing your photographer, there are other more important things to consider like the photographer's education and safety practices. You wouldn't hire a pediatrician just because he's the cheapest on the block, would you? You hire him because you trust him. Just as you would with a doctor, you want to make sure you trust your photographer. At the end of the day, you are handing your most precious and fragile creation to them, so you want someone who respects that and knows what they're doing when posing your little one. The popular froggy pose is achieved by taking two images and compositing it with professional software. The baby should never be balancing by himself. 1. How many years have you been working as a newborn photographer and approximately how many babies have you handled up to this point? You want to hire someone that has at least 2 years photographing newborns and that has handled 25 or more newborn babies. The more practice they have, the better they are at their craft. Lemonshoots has been in business since 2015 and I've photographed around 75 babies. 2. Have you received any newborn specific posing training and with whom did you train? Newborn photography is very complex and has a lot of safety implications, so having received specific newborn posing training is very important. It's also important to know where this information is coming from to make sure the education source is respectable. You want to hire someone that has had some kind of in-person training, better if it's a hands-on workshop. At Lemonshoots, I've trained in person with Ana Brandt, Paloma Schell and Priscilla Felix. Paloma's workshop was a week-long, hands-on, safety-focused workshop. I've also attended conferences like Belly Baby and Beyond were I have learnt in person from Stephanie Robin, Amy McDaniel and Robin Long among others. 3. Are you a member of an organization or association directly serving newborn photographers and their educational needs? You want to make sure your photographer is committed to their craft and that they specialize in newborn photography by growing their education constantly. I'm a member at APNPI (Accredited Professional Newborn Photographers International) and at NAPCP (National Association of Professional Child Photographers), where newborn safety and preparation is key. 4. What are the safety practices you have in place in your studio specifically geared towards the newborn client? Look for someone that takes care of their space and props, because that means they're taking care of your baby too. They should wash and clean all their props after every use. If they have a studio, they should keep it clean, organized and free of clutter in the floor. They should know how to regulate temperature and humidity to make sure baby is comfortable during the session. At Lemonshoots, we wash all outfits and blankets with a neutral baby detergent. All non-washable props like furs are sprayed with Lysol and all solid props are wiped with Cavicide, a hospital grade cleaner. During my session, I keep all props and tools in specific areas and use hand sanitizer throughout the session. On a side note, I plan every session using my StandIn Baby, a posing doll created for newborn safety. This doll help's me plan for poses and transitions before I set hands on your baby. 5. Will my newborn be supported by human hands in all upright positions as well as any poses requiring suspension? Many final newborn images you see online are flawless and beautiful. Some poses might seem like babies are defying gravity or that they are balancing by themselves, when in reality these looks are obtained thanks to post-processing and compositing. Babies' heads should be supported at all times, since the muscles in their necks are not strong enough to support it by themselves. At Lemonshoots, I make sure that your baby's head is supported at all times by my assistant or by the parents. 6. Do you work with an assistant or provide spotters at your newborn sessions? Or will you allow me to spot my baby during a session? Having an extra pair of hands during a newborn session is very helpful. Many photographers will have assistants. If they don't, they should ask you to spot and be there for support. Babies have reflexes, like the Moro reflex, that make them startle, so having a pair of hands very close to your baby will guarantee their safety. At Lemonshoots, sometimes I bring my assistant who is there to support baby when needed. If she is not present during the session, I ask mom or dad to help me spot and be at arm's reach. 7. What will happen in the case of illness, your own or otherwise? Your baby's immune system is not quite developed after birth. A cold for us could mean severe pulmonary problems for a newborn baby. Your photographer should never attempt to do a session if she is coughing, having a fever or has pink eye. If sickness occurs, your photographer should reschedule or refer you to other qualified photographers, since newborn photography is time sensitive. At Lemonshoots, newborn sessions are postponed if I get sick. My assistant won't attend if she is sick. In case the parents prefer, I'm prepared to refer them to another photographer that will take care of their session. 8. Are you vaccinated against whooping cough and the flu? Your photographer should be up to date with vaccinations, and should be willing to show you their records. This is all to prevent exposing your immune-fragile baby to any disease. At Lemonshoots, I'm vaccinated against HEP B, MMR and Td/Tdap as well as the seasonal flu shot. And although it is not required for newborn photography, I'm Infant CPR trained by AHA. 9. Can you point me towards online resources from which I can learn about safe practices when photographing newborns? Your photographer should be able to mention a couple places where you could find information about safe practices in newborn photography. By doing so, you will know they are not afraid to have you do your own research to cross-check the information they provided. At Lemonshoots, I'm proud to be one of the Qualified Newborn Photographers at APNPI, the first newborn photography association geared towards safety. 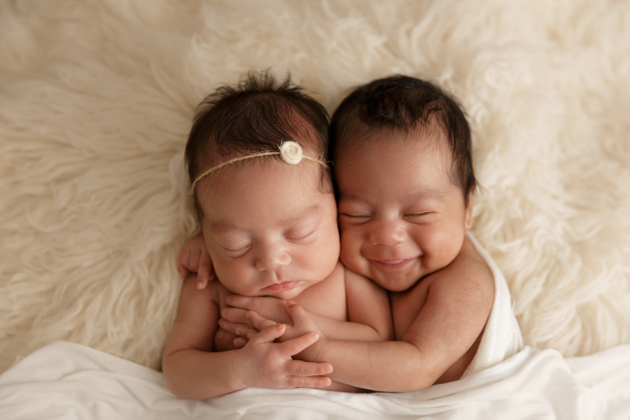 Here are some great resources regarding newborn photography safety. I hope this questionnaire helps you make an informed decision when hiring a newborn photographer. If you have any questions, feel free to email me at info@lemonshoots.com. Copy and paste these questions to your emails when you contact your newborn photographers. * These questions are the same questions suggested by APNPI.